while helping to improve your mental focus. L-Theanine is an extremely powerful, unique, and fast acting amino acid. It’s found naturally in the leaves of green tea. It’s the reason tea feels much less “jittery” and more calming than coffee does, even after accounting for the caffeine differences. A cup of green tea has only about 15 to 20 mg of L–Theanine, and even in that small dosage the effects are very real. L–Theanine is not to be confused with green tea extract. The L–Theanine we use is a special pharmaceutical grade, extremely pure white powder. 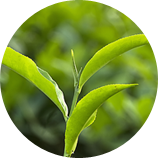 We provide a full 250 mg of pure L–Theanine in each capsule, roughly 12 times the amount found in a cup of green tea. L–Theanine is used for many things, but its best known for its stress and anxiety reducing properties. L–Theanine reduces blood pressure and other physiological stress signals during stressful situations. Many anxiolytic (anti-anxiety) medications cause extreme drowsiness as a major side effect. L–Theanine, however, is unique in that it’s able to reduce anxiety without causing drowsiness. It does this by increasing alpha brain wave activity, which is high during peak states of deep meditation and during REM sleep. The increased alpha brain wave activity provides a calm sense of “relaxed wakefulness”. Powerful benzodiazepine medications like Valium®, Xanax®, and Ativan® work by increasing the effectiveness of GABA, the body’s main inhibitory neurotransmitter. L–Theanine also appears to increase the effectiveness of GABA.